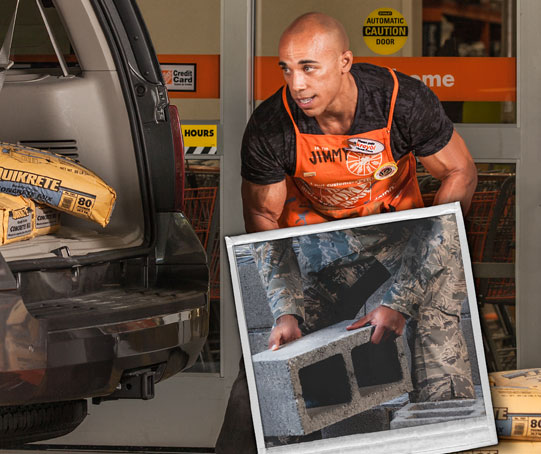 The Home Depot recognizes that members of the U.S. military community are highly skilled, motivated and hardworking. In an effort to support this community, The Home Depot joined forces in 2004 with the U.S. Departments of Defense, Labor and Veterans Affairs to provide rewarding and challenging career opportunities in our stores and distribution centers across the nation for current and former members of America’s military. 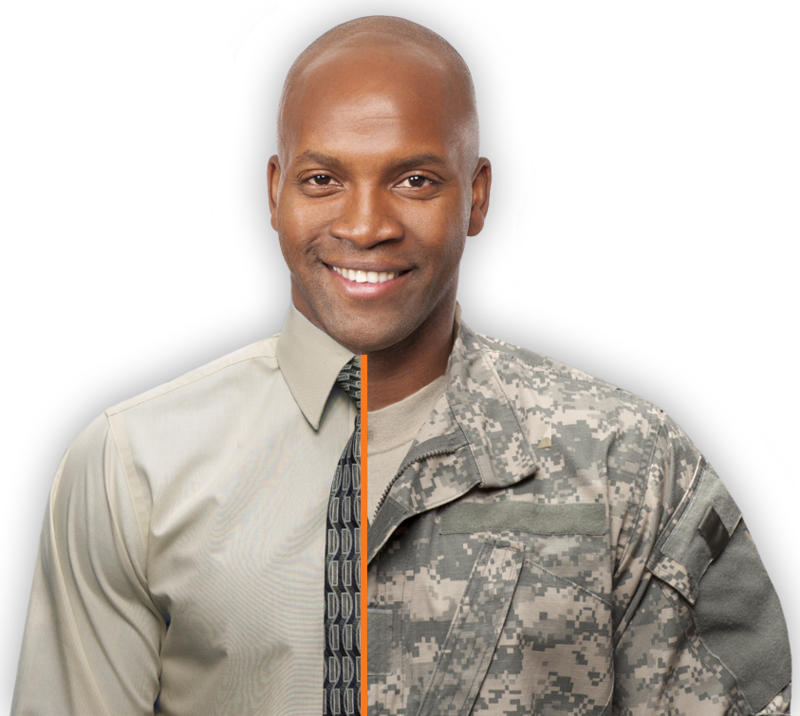 In 2012, we made a commitment to hire 55,000 veterans in 5 years. We reached that goal mid-year 2015 – two years ahead of schedule! At The Home Depot we don’t just talk about supporting our military. Just ask the more than 55,000 veterans we have hired since 2012. We offer a work environment that values the skills learned through military service, while providing the flexibility needed by those who serve in the National Guard, reserves or who are military spouses. Our efforts have been recognized by G.I. Jobs magazine, where we have made the list of “Top 100 Military-Friendly® Employers” for thirteen consecutive years, including No. 1 in 2004. Not sure what career you’re qualified for? Use our Military Skills Translator Tool and discover a world of opportunities today. 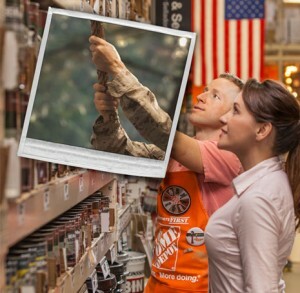 As part of our outstanding success in the hiring and retention of veterans, The Home Depot has been selected at the state level as The American Legion Department of Georgia’s “Employer of the Year” in the large category. 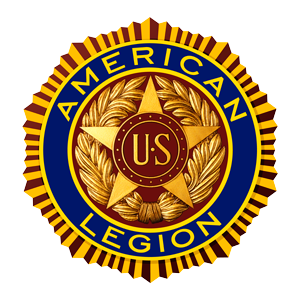 In addition, The Home Depot has been recognized at the national level as The American Legion’s “2014 National Winner of the Year for Hiring Veterans” in the “Large Employer” category. One of the contributing factors for us receiving this prestigious award is that at least 10 percent of our employees are veterans. The Home Depot has developed partnerships and made numerous investments in support of our nation’s military community. Our commitment to the military includes the following. Team Depot has provided millions of dollars in aid and support to America’s veterans and military families, and our commitment continues to grow. We are one of only seven employers to be ranked in G.I. 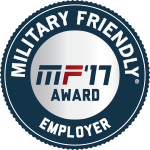 Jobs magazine’s list of “Top 50 Military-Friendly® Employers” for seven consecutive years, including #1 in 2004. We were named one of the “Top 10 Military-Friendly® Employers” in 2007, 2008 and 2009, by Military Spouse magazine. In partnership with the United Service Organization (USO), our very own Military Appreciation Group (MAG) has associates volunteer at the USO “Support the Troops” events as they transit in and out of Hartsfield-Jackson Atlanta International Airport. 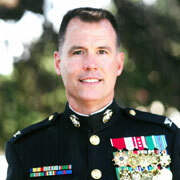 My military career was in Aviation Logistics and I had transitioned to Supply Chain when I left active duty. 17 years ago Home Depot was growing quickly and Logistics was the place to be! The culture and values were closely aligned with the Marine Corps — we have a core ethos that guides us and we take care of our own. We’re laser focused on the customer and we have high expectations. It was a great choice! 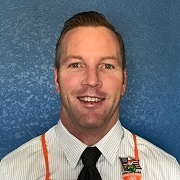 I began my career at Home Depot while going to college and serving in the Army National Guard in 2004. My last deployment overseas turned into being a five and a half year leave from Home Depot due to injuries sustained. After seeing how well they took care of me upon returning, and the thoughtful care packages while overseas, I knew Home Depot would be my career!. 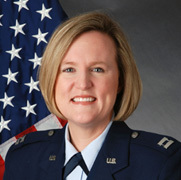 The Air Force Core Values are: Integrity First, Service Before Self, and Excellence in All We Do. Thanks to The Home Depot, I have been able keep my commitment to these core values, as they are directly in line with the values that The Home Depot supports. As a Marine, I was fortunate to serve beside men and women with strong character, who put others first, and who valued being part of a winning team. At The Home Depot, I found the same strength of character and a company built on values. The uniform may be different, but the drive for excellence and the commitment to winning as a team remain the same. Adaptable, talented, highly motivated, creative and reliable – these are just a few of the qualities associated with military spouses. We want to help military spouses reach their full potential and realize their career goals by making available meaningful and rewarding employment opportunities. 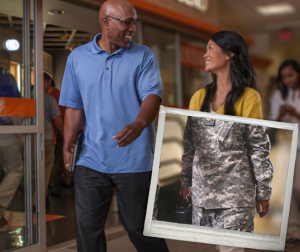 Our work with military spouses led to The Home Depot being named one of Military Spouse magazine’s “Top 50 Military-Friendly® Employers” for four consecutive years, starting in 2013. At The Home Depot, our associates have a strong voice within the organization, too. One of our associate-run resource groups — Military Appreciation Group also known as MAG — is dedicated strictly to supporting active military associates, deployed reservists and their families. One of the biggest issues veterans face when returning home is making that successful transition back to the civilian world. MAG helps with that, and develops programs to ease. This year, we’re proud to announce the sixth winner of the Orange Honors scholarship, Chanta Starkey, for the dedication and passion she has shown toward her education and pursuing her dreams. Congratulations, Chanta! Since 2004, the Military Spouse brand has offered powerful print, web and social media solutions for companies, employers and educators to connect with 1.1 million military spouses at critical life stages — times when individuals over-consume in certain categories: Weddings, Relocation, Vacation, Travel and Recreation, Family, Growth, Education and Employment. Their Military Spouse of the Year® (MSOY) program provides a voice and forum for military spouses to elect representatives from military bases worldwide. G.I. Jobs® a monthly print magazine and website serves the needs of the nation’s 400,000 service members who leave the military every year and enter the civilian workforce. These new veterans look to G.I Jobs for advice and tools to help them find the right jobs, education, and vocational training during and after leaving the military. As the nation’s leading military-to-civilian recruiting firm, RecruitMilitary has established working relationships with industry associations, non-profit organizations and government agencies. They help connect veterans — recently transitioned, long transitioned, and those with established civilian careers. 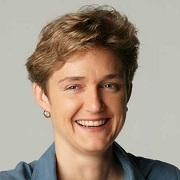 In addition, they help their spouses connect with employers who want to hire them. RecruitMilitary’s candidate-aggregation tactics include the publication of Search & Employ® print and digital magazine, a strong public relations program, web links and partnerships, and keyword purchases on major search engines. Search & Employ is a 28+ page magazine published for veterans, transitioning military personnel, members of the Guard and Reserve, and military family members who are looking for civilian employment. It includes job postings, articles on obtaining quality civilian employment and information on how RecruitMilitary can help in the job search. American Corporate Partners is dedicated to fostering one-on-one relationships between veterans and corporate professionals from Fortune 500 companies and select universities, with the belief that such relationships will ease the veteran’s transition from the military to the civilian workforce and strengthen the relationship between corporate America and the veteran community. If you are ready to be part of a team, a community, a culture of helping, problem solving, and customer service, you’re in the right place. Be a part of The Home Depot’s visionary strategy and flawless execution.